Causeway were delighted to attend the recent St Patricks Day Influencers Dinner in Glasgow co-hosted by the City of Glasgow College and the Glasgow Chamber of Commerce. 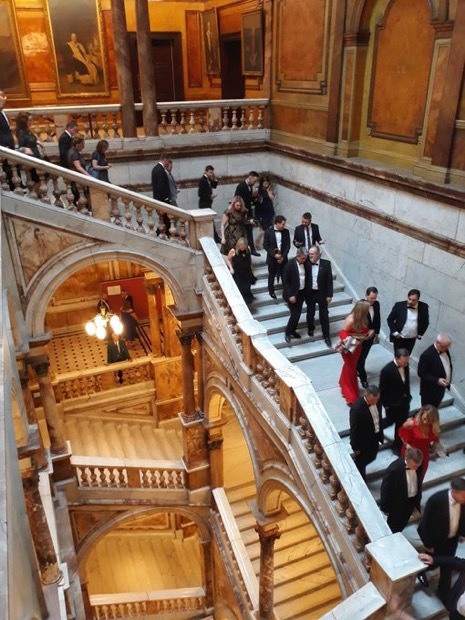 The dinner brought together a group of influential business leaders to discuss the issues facing some of Glasgow’s most important institutions and organisations. The private round table event was chaired by Glasgow Chamber of Commerce Chief Executive, Stuart Patrick. The Scotland committee Regional Chair, John McClarey MD of Business Fives was delighted to be invited along with some fellow Causeway members. Paul Little, Principal of City of Glasgow College outlined the past, present, but more importantly, the future direction of City of Glasgow College. Having already positively disrupted the Tertiary Education sector by building an multi award winning super campus estate which has seen the college elevated as a pioneer in the sector. His vision for the future of professional & technical education identified the continual need to engage with business to identify and fill the skills gap highlighting the role the College plays in getting students ‘work ready’ actively encouraging volunteering opportunities for students through work placement roles in their desired field which has increased the career prospects of the students supported by their academic studies. Consul General of Ireland in Scotland, Mark Hanniffy addressed those in attendance and highlighted how the deep historical ties between the two nations are so important in an uncertain and ever changing political and economic landscape in the modern world. He noted that an asset to both countries is the strength of the Irish Scottish relationship using a number of key economic indicators to illustrate his point that trade between both nations is flourishing and will continue to do so. The Consul General commended Causeway on the work enhancing economic ties across the Irish Sea. The City of Glasgow College is preparing for its 10th anniversary in 2020 and guests were invited to participate in a wide ranging discussion about the future of education and the importance of skills for our future economy.